You Are Here: Home » Neymar news: 2018-19 » Barcelona 6-0 Rayo Vallecano: Neymar returns and scores a beauty! Barcelona line-up: Valdés, Adriano, Puyol, Piqué, Daniel Alves, Busquets, Fabregas, Iniesta, Alexis Sánchez, Lionel Messi, Pedro. 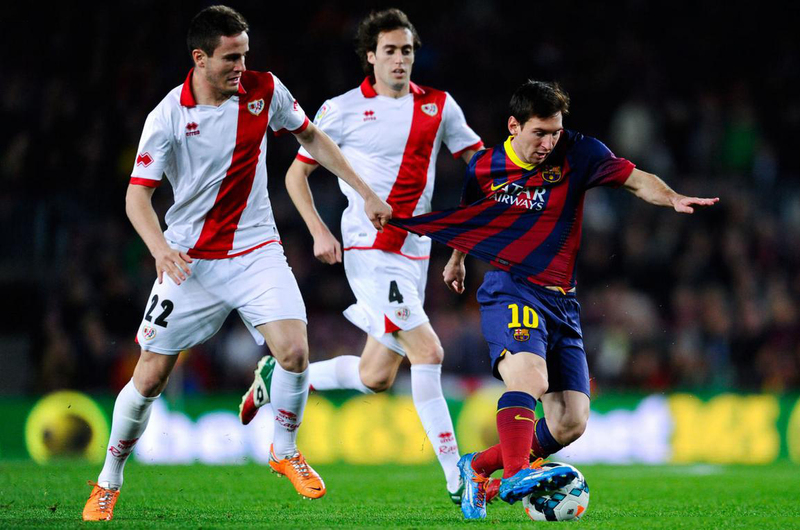 Barça cruised past Rayo Vallecano by 6-0 this Saturday evening, in a game that marked Neymar‘s comeback from injury. The Brazilian came in to the pitch to play the last 30 minutes of the game and that proved to be more than enough time for him to still score a beautiful goal. The 2-0 was also the result of a splendid finish, but this time the goalscorer was Barça‘s usual suspect in this kind of pieces of art, the one and only Lionel Messi. Assisted by Cesc Fabregas, the Argentina international was quick to see Rayo Vallecano‘s goalkeeper running out of his box to try to intercept the ball and chipped the ball above his head, in what was so far surely one of his best goals this season. Half-time would come over without any further goals being scored. In the 53rd minute of the game, Alexis Sánchez extended Barcelona lead into 3 goals, after being assisted by Lionel Messi and easily finishing it off when he found himself with only Rayo‘s goalkeeper in front of him. The visitors weren’t being able to stop Barça‘s attacking charge and more goals were about to come… The 4-0 was produced by a great pass exchange between Cesc Fabregas and Andrés Iniesta, with Barça‘s #8 magician backheeling the ball to the former Arsenal player, just before he sent it across the box for an easy tap-in finish performed by Pedro. Great football by the Blaugrana, just 3 days away from travelling to England to face Manchester City. Lionel Messi netted his second goal of the night in the 68th minute, after getting assisted by Alexis Sánchez and picking out the bottom corner in another left-foot finish. 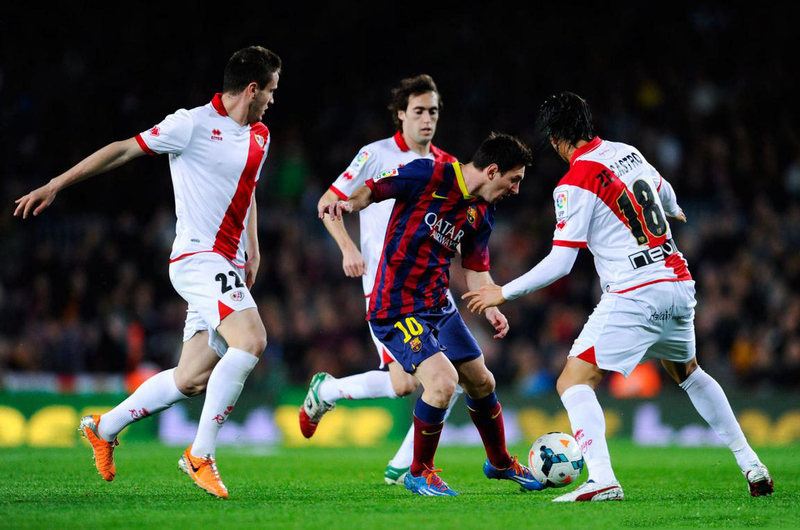 Barcelona was crushing Rayo Vallecano and the icing on the cake ended up being Neymar‘s goal in the 89th minute. In the 60th minute of the game, the Brazilian finally made his return from an ankle injury he picked last January and showed to be extremely motivated for the weeks ahead. He scored one of the most beautiful goals of the night just 1 minute before the end of regular time when he picked up a ball in midfield, hanged on his feet after suffering an opponent’s charge and racing ahead with the ball close to his feet. Then and still a few meters behind Rayo‘s box, Neymar struck a brilliant shot, sending the ball straight into the top right corner. 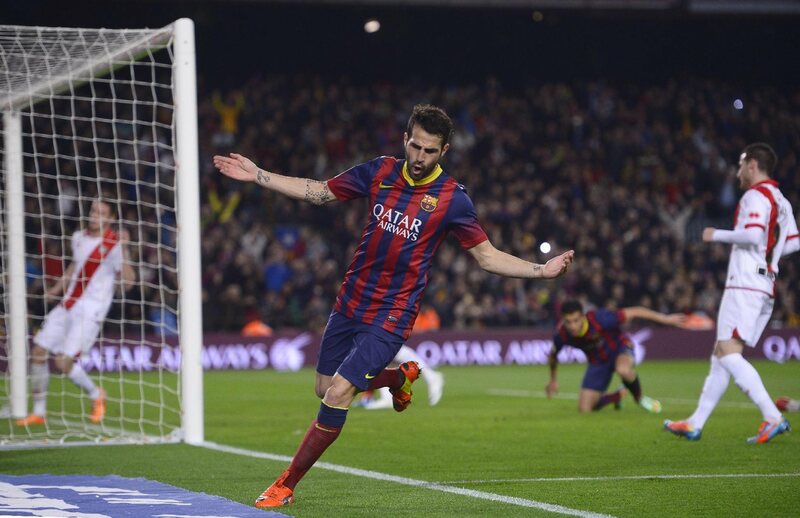 Spectacular goal and 6-0 to Barcelona. Next Tuesday night, the UEFA Champions League returns with a Manchester City vs Barcelona blockbuster tie, in what promises to be one of the most thrilling games of the season. Neymar and Messi might finally start another match together, when Barça steps on to the Etihad stadium.